Waking up late and rushing through breakfast is not the best way to start a workday. But it happens, especially if you’ve had one too many the night before. And then, when you’re about ready to zoom out of the garage, your car just won’t start….. your battery is dead! Then, you remember your friend recommending Optima Dual Purpose Battery 8040-218 D35, the best car battery in his book, if and when you will need one. Well, you need one now! It is either you follow your friend’s suggestion or if in doubt, check out the only top rated batteries you comparison from Amazon. Coming up with this list of the 5 best car battery from Amazon was not easy. You and I know that there are a lot of things to consider in choosing a battery – car size/battery size, power requirement, reserve capacity, and other features. ​To narrow down our choices and make the selection process simpler, we focused on the best auto batteries for 2019. Since these car batteries are the most preferred by car owners for this year, there must be reasons for their popularity. Look at the comparison table before reading each product review. This automotive battery is also called the Yellow Top. It is a high-performance AGM battery that is one of the truly dual-purpose car batteries available. It has an excellent rechargeability or cycling capability and excellent cranking power. If your car is fully loaded with an electronic gadget, this is the battery for you. Heavy equipment, trucks with winches, commercial vehicles cars loaded with sophistical audio and electronics system can depend on the Yellow Top for maximum deep-cycle and starting power. The Optima Dual Purpose Battery 8040-218 D35 is also great as tractor battery, forklift battery, and other similar applications. It can be mounted any which way since it is spill-proof and is also fifteen times more vibration resistant than others. ​​15 times more resistant to vibration. ​​Can be mounted in almost any position. ​Ideal for cars loaded with electronic devices. ​​​More expensive than a similar product. ​Since its an AGM battery, it needs care in charging to avoid overcharging that could damage the battery. The Optima RedTop is made for high-power cranking even in the direst weather condition. If your vehicle is an off-roader, a classic American car or a hot rod, then this battery is for you. It is adapted for heavy use with its great starting ability, high-power, and leak-proof property. It features a unique Spiral Cell design that supplies a clean and strong power source to ensure your safety and your family’s as well as the safety of the environment. It also has a high reserve capacity that gives it a longer lifespan so that you will have power for a long time. 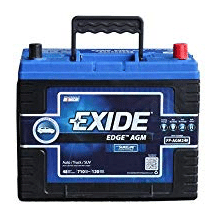 This AGM battery is guaranteed with high performance and is the best starting battery intended to provide a vigorous burst of ignition power for a dependable startup at all times. If you are into racing, this Red Top will get you through extreme corners and hard bumps in every type of road. ​15 times more vibration resistant. ​Performance declines after a year. This is also an AGM battery and is 100% leak-proof and spill-proof with a longer life expectancy than other batteries of its category. It is exceptionally charge-receptive and has high-cycling capabilities, features required for start/stop vehicle operation. This ACDelco Professional AGM battery features oxygen recombination that is meant to reduce water for an assurance of maintenance-free performance. ​Improved acid circulation keeps the battery cool and prolongs life. ​Acid leakage and short free. ​​​Needs a professional to install. ​Battery post threat because of the vent and other components contain lead and lead compounds, substances cap design that is hazardous to health. ​Dimensions (inches): 13.9" x 6.9" x 7.5"
Batteries from Exide Edge are the only Absorbent Glass Mat batteries that feature the SureLife Technology. It is a technology that boosts the energy capacity that improves battery performance and prolongs their life. This battery will give you more safeguards against power cell failure to ensure that your car performs like it was new for a longer period of time. ​Maintenance free and deep cycle free. ​Can be mounted at any angle. ​Length: 259 mm / 10.2 "
Width: 172 mm / 6.8 "
​Height To Cover: 200 mm / 7.9 "
​Total Height: 220 mm / 8.6 "
The Odyssey 65-PC1750T Automotive and LTV Battery provide immense starting power, incredible deep cycling and quick recovery, properties that discriminating vehicle owners are looking for in a battery. Most new models of cars and other vehicles come fully-loaded with electronic features such as automatic door and window system, audio system and other gadgets that make huge demands on a car’s engine and power source. Good thing, the Odyssey 65-PC1750T Automotive and LTV battery come prepared to satisfy this demand. An ODYSSEY’s plates consist of pure virgin lead as against the lead alloy in many of the other batteries, and there are more of them. More plates translate to more plate surface area, and of course, more power….power that is two times more than that of conventional batteries and a lifespan three times longer. It is the best battery for antique and classic cars, everyday vehicles, off-roaders or 4x4s, and high-performance cars including modified cars. ​3x longer lifespan and service life. ​No risk of a spill. Batteries have a life expectancy just like you and me. They do not last forever. Some may last longer than most, but eventually they die or fail, in battery lingo, and need to be replaced.  One of the reasons for a battery’s “death” is extreme heat which caused the liquids contained in the battery to evaporate. And when the fluid level is low, a battery’s internal structure is impaired. Extreme heat can also cause corrosion that can lead to irreversible damage that could shorten the life expectancy of your battery. (If you live in Florida area, then this article will be useful for you). 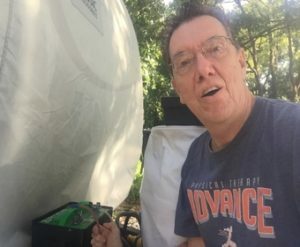 Usually, the effect of a long hot summer on a battery descends on you, not in the height of summer but when the cold sets in… when the battery needs more juices for more cranking power. 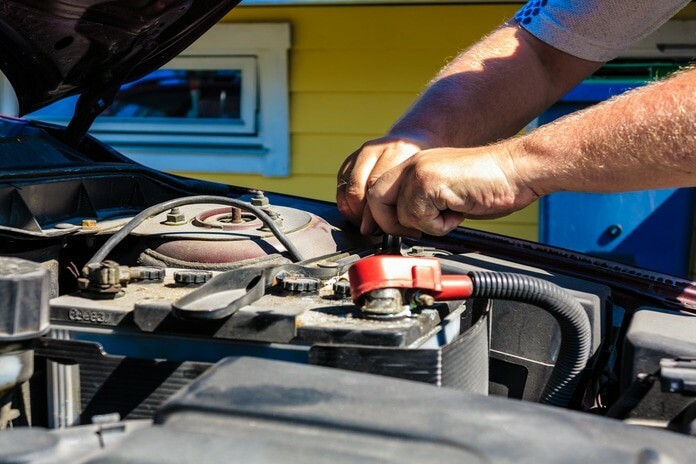 To avoid your battery dying on you after a long hot summer, you need to get a quality battery such as an Optima, a Napa, ACDelco, Kirkland Signature or Duralast. Some of them may be a bit more expensive, but it is your only safeguard against replacing a battery long before it is due for replacement. Many of these better quality batteries have higher electrolyte-to-lead ratios that make them more durable in hot weather. 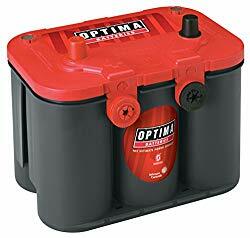 Optima produces some of the best car batteries available in the market today. Their batteries may be a bit more expensive than most, but they also perform better in extreme weather conditions. Optima batteries will give you the durability require during warm weather. ● NAPA batteries are made to endure extreme hot and cold. They are made of different sizes that are appropriate for most types of vehicles. ● AC Delco batteries are designed with corrosion-free terminals that are supposed to sustain the battery’s life. These also have large repositories that accommodate the charged parts for longer periods of time. ● Kirkland Signature batteries are one of the best batteries to buy for lasting performance. In addition, they are also some of the cheapest batteries around and comes with a superior warranty. Replacing them if something goes wrong won’t hurt your pocket so much. ● Duralast batteries have a stand out for lasting longer than a number of batteries in their category. These are also some of the more affordable options for you. This video helps you how to protect your battery from hot climate. 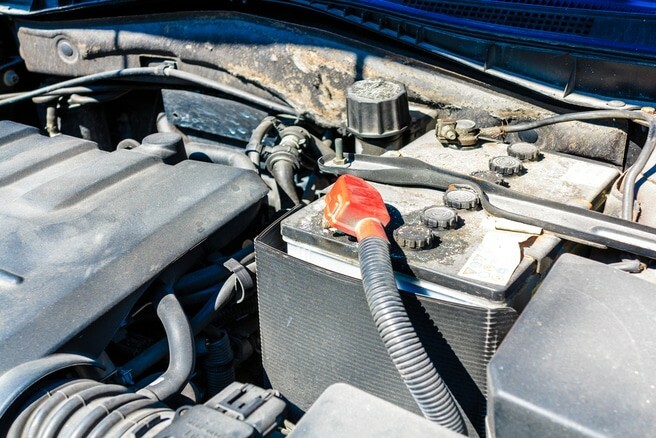 Extreme cold weather is especially hard on your car battery. At 32°F, it loses 35% of its strength, The lower the temperature falls, the higher is the loss of strength, and when it plunges to 0°F, strength loss is up to 60%. Starting an engine during a freezing cold can discharge current to as much as twice what is needed under ordinary normal conditions. Of course, it is wise to have your battery checked, and the charging and starting system tested even before the onset of the cold weather. But, if the inevitable comes and your battery dies in the dead of winter, then you will need a replacement. This time, you should be more careful in your choice of battery replacement. 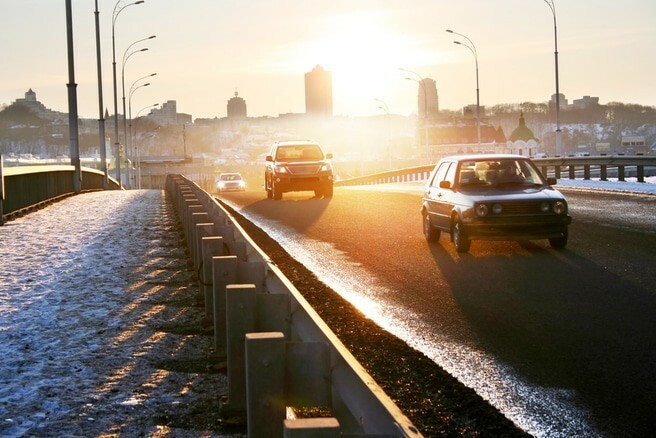 It is best to choose a battery that is known to withstand the harshest winter. Lucky for you, there are several battery models in the market that will start your car even in freezing snow such as the Optima Red Top, the Optima Yellow Top, ACDelco Professional AGM, Exide Edge FP AGM, and the Northstar Ultra High-Performance AGM. Optima has a reputation for the production of high-performance batteries that can withstand too much abuse. The Red Top is top of the line and is made for a vast range of application. What makes the Red Top the best choice for a battery in cold weather is its 800 CCC or CCA. You will have a stronger starting power with this battery even when it’s freezing outside. Another excellent product from Optima is the Yellow Top. This high-performance battery will not only enable you to start your car’s engine under any weather condition it is also your best choice if you have loads of electronic systems in your car. A Yellow Top will deliver power when it is needed most. The ACDelco professional AGM battery delivers 800 CCC and is rated for low temperatures, features that should assure of a reliable cold starting. It also has an exceptional reserve capacity (RC) that can keep going even 140 minutes after you shut off your car’s engine. The cold cranking amps or CCC of this battery is not as high as you would want it to be but it sure is more than enough to start your engine for most low temperature. And since it is an AGM which is a low maintenance model, you really have nothing much to worry about, and it will give you years of high-performance usage. The AGM (absorbed glass mat) technology is what gives this product of Northstar its “ultra-high performance” giving it the capability to handle cold weather, deep cycling, and starts than the regular models. This battery also has more reserve power and cold cranking amps and can handle deep cycling much more frequently. It is estimated to last for 400 recharge cycles at an 80% depth. This video helps you how to protect your battery from Cold climate. When you need a battery to replace the car battery that has finally conked out on you, one major consideration for selecting its replacement is car battery brand. The brand is of major importance because some batteries are better than others, and usually, the quality is dependent on the maker. Of course, you have to determine first what kind of battery will work for your car since different car makes or models need different types of batteries. Once you have determined the type that works best for your car, then the matter of car brand should follow. Remember, The best brands, whether in a car battery or any other product, are those that have been around for almost forever. Their longevity is a sure proof of the reliability and quality of their products. Let me give you a list of some of the car brands in my book! 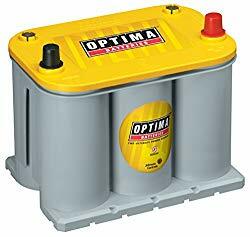 Some of the best AGM batteries in the market are made by Optima. These batteries are known to outperform and outlast other types of car batteries since they are made with a high-resistance property against the common causes of battery fails. Optima batteries, however, are also some of the most expensive in the market. But. What the heck? Quality for sure has a price! Odyssey batteries are manufactured by EnerSys Energy Products Inc, a company with more than a 100 years of battery experience. These batteries are manufactured under strict quality standards to give products that provide enormous deep cycle reserve power and exceptional starting power in one battery. 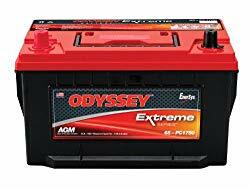 This extraordinary combination of performance and power are the reasons why Odyssey batteries are the ideal batteries for all types of motor vehicle….trucks, cars, ATVs, motorcycles, snowmobiles, commercial trucks, and boats. The only problem of Odyssey batteries is that these are easy to overcharge. If what you need is a battery with reliable starting power, you are well advised to try an ACDelco battery. The brand has a battery that meets almost all needs. These are field proven batteries backed up with exceptional limited warranty coverage. ACDelco makes batteries that have set the standard for performance. Price of ACDelco batteries is also very competitive. Unfortunately, ACDelco batteries do not come with maintenance and limited warranty, so you can’t have it fully replaced when something goes wrong. Diehard batteries are some of the most preferred batteries by car owners since they are absolutely maintenance free and comes with a 3-year full replacement warranty. These batteries can start your car’s engine under any kind of weather condition since it has a high rated cold cranking amp of 875 (great for cold climate) and a reserve capacity of 145 minutes (needed for hot weather). The only problem is you might dig a little deeper in your pocket since these batteries are a bit more expensive than most. Lead-acid batteries are the oldest type of rechargeable batteries for commercial use that continues to be widely used even today. The reason for its popularity and longevity is its dependability and cheaper cost on a cost-per-wall basis. Not many other types of batteries offer bulk power at a more reasonable price than lead acid, making it the most cost-effective battery. ・Most cost-effective compared to other types. ・Works well during the cold weather and is better than lithium-ion when used under the sub-zero condition. ・With higher charge retention compared to nickel-based batteries. ・Normally heavier and bigger for higher power application. ・Has a shorter life cycle. ・Normal usable power down to only 50% DOD (Depth of Discharge). Starting, lighting and Ignition battery (SLI) - meant to provide a rapid burst of energy such as cranking/starting an engine. These are batteries with a higher plate count. Deep cycle batteries - these batteries have lesser instantaneous energy, but with greater lasting power delivery. Deep cycle batteries can withstand numerous discharge cycles. Wet cell or flooded batteries - These are the earliest type of rechargeable batteries normally used as energy storage, and for aviation, electric utilities and cellphone towers. This kind of batteries contains liquid electrolyte like sulfuric acid which is a dangerous and corrosive substance that burn or corrode anything it touches. It is called flooded because the liquid electrolyte moves freely inside the casing, flooding it. Gel Cell Battery or Valve Regulated Lead Acid (VRLA) battery - This battery contains a gelified electrolyte which is a mixture of sulfuric acid and fumed silica. There is no danger of flooding in a VRLA or gel cell battery because the gelified electrolyte is immobile. Absorbed Glass Mat (AGM) battery - An AGM battery is a lead-acid battery with an ultra-thin fiberglass mat jammed between the battery’s plates. This mat is soaked with battery acid to almost 95% of what it can hold. The mat is tightly packed between the plates then is soldered or welded in place. This makes an AGM vibration-resistant. Gel cell batteries and AGM batteries are premium lead-acid batteries that usually cost two times more than wet cell batteries. But, the advantages of these two special kinds of lead-acid batteries is that they are safe. The risk of corrosion and danger of gas explosion is nothing to none. They also keep well, are not prone to sulfation and do not degenerate as fast as wet cells. A silver-calcium battery or silver-calcium alloy battery is a type of battery with grills made out of a lead-silver-calcium alloy and not the usual lead-antimony alloy used for the standard lead-acid battery. This makes this type of battery better in terms of resistance to corrosion and the harmful effects of high temperature. It also lengthens the life of the battery and maintains its starting power over its lifetime. Lithium-ion or Li-ion battery is a secondary power cell where lithium ions transfer from the anode to the cathode while the battery is in use or during discharge. During charging, the process is reversed, the lithium ions move from the positive to the negative electrode. Lithium-ion batteries are the preference for some limited edition cars or high-performance vehicles as well as an electric vehicle since they are very much lighter than other kinds of battery. Li-on batteries also make cars more fuel efficient because of its lightweight advantage. Top of the line cars like the Porsche 911 2010 use a Li-on for starting. Too bad, this premium battery is quite expensive. Buying A Car Battery At Costco Is Good Idea? 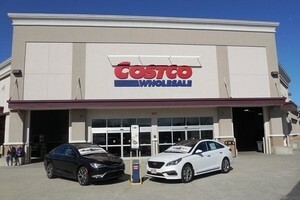 Costco is a membership warehouse club with hundreds of branches worldwide. It offers a wide selection of goods and the convenience of exclusive service to its members as well as specialty merchandise departments. Costco’s aim is to make your shopping experience a pleasant one. Costco even has a tire and battery center where you can buy a battery for your car. ・Fair price for their merchandise including car batteries. ・Prices are fixed and don’t allow for haggling making the buying expedition less stressful and making comparison across options/ brads, types easier. ・After sale service is readily available because you’re buying from a local dealer. ・Trade-in value has to be negotiated personally. ・Since it is the dealer and not Costco who set the prices, you might get a better price if you go directly to the dealer where you can still haggle. Walmart is an international retail company that operates a chain of grocery stores, discount department stores, and hypermarkets. It is considered the world’s largest private employer with 2.3 million workers. It is also the biggest corporation in the world by revenue, roughly US$486 billion in 2017 as reported by Fortune Global 500. ・Walmart offers free battery installation service. 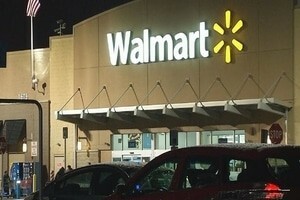 ・Warranty service made easy at any Walmart store since Walmart has the complete data of your purchase in their system. ・Walmart has more than 2,500 Auto Care Centers all over the USA with the competent and certified technician that will help you with your needs. 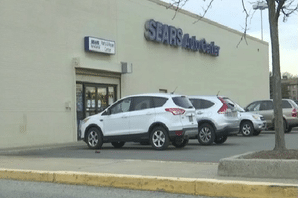 Sears is a well-known integrated retailer that provides goods and related services that is a wholly owned subsidiary of Sears Holdings Corp. Sears offers a wide range of products and services from Sears own and affiliated specialty retail stores, through specialty catalogs and their online platform, sears.com. It is also America’s largest provider of services. ・Claims to have the best batteries. ・Has battery diagnostic centers that provide free battery check with a printout of test results. Autozone is the foremost and largest auto parts retailer where you can find the best aftermarket accessories for SUV., trucks, cars and more in the US. It has more than 6,000 stores all over the United States. ・All AutoZone stores carry every component needed for a charging system. 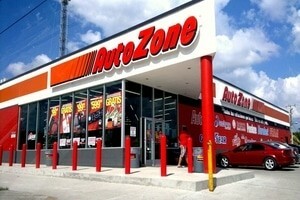 ・All stores accept the return of batteries bought from other AutoZone stores. ・Unhelpful store personnel and technicians (from reviews of several unsatisfied customers). When your car was running like a dream, starting in one click with all the electronic systems working like clockwork, it never dawned on you that all these could end, all because of a dead battery. 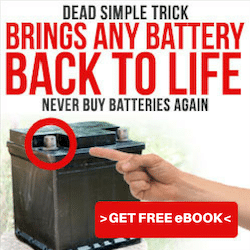 And, I’m sure, you also didn’t realize how complicated and involved getting a replacement for your battery could be….. choosing the right and best car battery, where to buy them and more. Don’t worry, we have you covered! This article will give you comprehensive information, everything that you need to know that will help you make a wise and informed decision.